Harrison's Roofing is accredited. Select businesses earn BBB Accreditation by undergoing a thorough evaluation and upholding the BBB Code of Business Practices. A+. BBB assigns ratings from A+ (highest) to F (lowest). 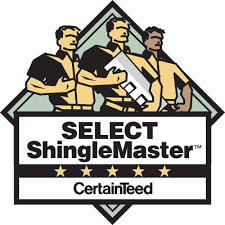 As a CertainTeed Select Shingle Master, Harrison's Roofing has achieved the highest CertainTeed roofing credential. In order to earn this qualification, we have demonstrated extensive knowledge of shingle installation and quality workmanship. Harrison's Roofing is an Owens Corning Roofing Preferred Contractor. This means that we are a member of an exclusive network of roofers who adhere to strict standards of professionalism and reliability.